The Missiological Forum at Norwegian School of Theology (Menighetsfakultetet) in Oslo yesterday showed the value of serious theological reflection combined with real-to-life ministry to the hurting world. Evangelicals, lutherans and pentecostals combined their know-how to have a sober and impacting consultation. Missiological Forum is an initiative of Norwegian Council of Missions and Evangelization (NORME), which is the result of a merger of Norwegian Missions Council, Lausanne Norway, and the Evangelical Alliance on March 1st, 2001, and is founded on the basis of the Lausanne Covenant. 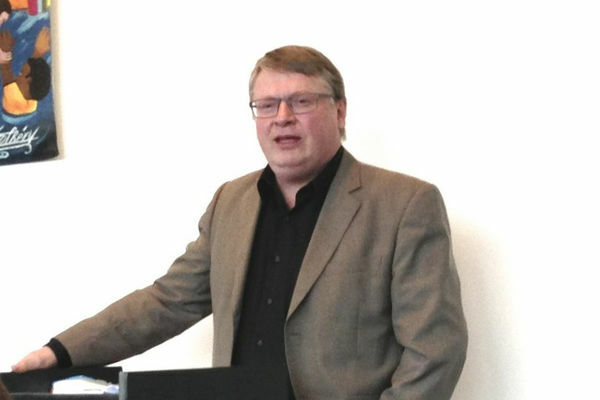 ECAL Convenor Jan-Aage Torp is a personal, paying member of NORME. The Program Committee Chairman of Missiological Forum is Dr. Hans Aage Gravaas, a former missionary to Ethiopia, and presently the Director of Stefanusalliansen, which serves the Persecuted Church worldwide. Professor of missiology at Norwegian School of Theology, Dr. Roar G. Fotland, hosts the forum on behalf of his school. After an initial round of well-prepared papers by Dr. Tore Laugerud (priest to the alternative seekers in Norway) on «Extraordinary spiritual experiences - a challenge», and Dr. Tormod Engelsviken (professor emeritus of missiology at Norwegian School of Theology) on «Deliver us from the evil! Charismata, healing, spiritual power and conflict», the rest of the day was spent in a consultative format among the 70+ participants, who were largely from the multifaceted Lutheran Church of Norway, interspersed with a wide array of pentecostal and charismatic practitioners. Hans Aage Gravaas is the program chairman of Missiological Forum, and is a former missionary to Ethiopia, He is now the Director of Stefanusalliansen which focuses on the Persecuted Church. «To discern spirits demands that we know the voice of God!» said missionary to Japan and priest to seekers in Norway, Valfrid Botnen. «Churches in Ethiopia grow becaue of signs, wonders and miracles. Experts in psychological health in Norway do not have the whole answer!» stated Ethiopian missionary to Norway, Lemma Desta. Marit Landrø, a former missionary to Swaziland and retired pentecostal pastor, affirmed her belief that demons are for real: «But often, it seems that what we think are demons, are really just our own hysteria and emotions. I find that demons in our part of the world operate in a more covert way. That´s why we need true discernment» stated the seasoned woman of God. «As a professional psychiatrist, I cannot use a concept like ´demons´ in my practice. But I am happy to contribute with my expertise. At the core of my belief is that God loves people, and we need to respect every individual, regardless of what we believe their problem is» said reknown psychiatrist Arne Austad, who is particularly known for his treatment of Christians who have encountered spiritual abuse in charismatic circles. «I believe it would be wrong to say that demons are inactive in the western world. They operate in Norway and Europe too! Just think of the downfall of the Welsh revival in 1906, which was largely due to obvious demonic activity. Even in recent times in Norway, many of us have encountered demonic activity that has wrecked individuals, families and churches. 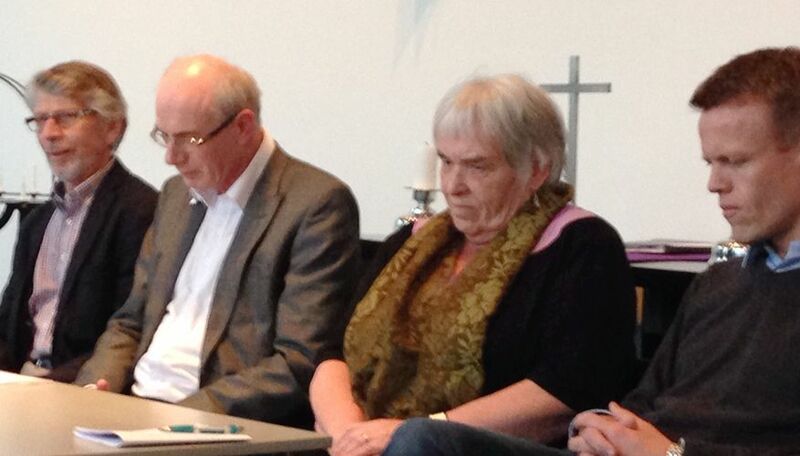 Even though I don´t believe in infant baptism, I do believe that Norway has a certain measure of spiritual protection from the faith of Godly parents, whether they baptize or bless their children!» said Jan-Aage Torp, Convenor of European Coalition of Apostolic Leaders.